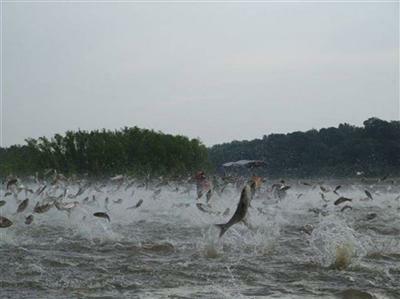 As part of an expanded effort to control the growing population of an invasive fish, the Tennessee Wildlife Resources Agency has developed an Asian Carp Harvest Incentive Program. Working in conjunction with state and federal agencies in the Ohio River Basin, the TWRA is offering commercial fishermen enrolled in the program a one-time distribution of 15 gillnets from a contracted dealer. Additional nets will also be distributed to commercial fishermen who harvest no less than 60,000 pounds in a 6-month period. The ACHIP program was first implemented in September 2018, and the state has reimbursed ACHIP-contracted wholesale fish dealers for at least 262,333 pounds of Asian carp rich in omega-3 fatty acids.